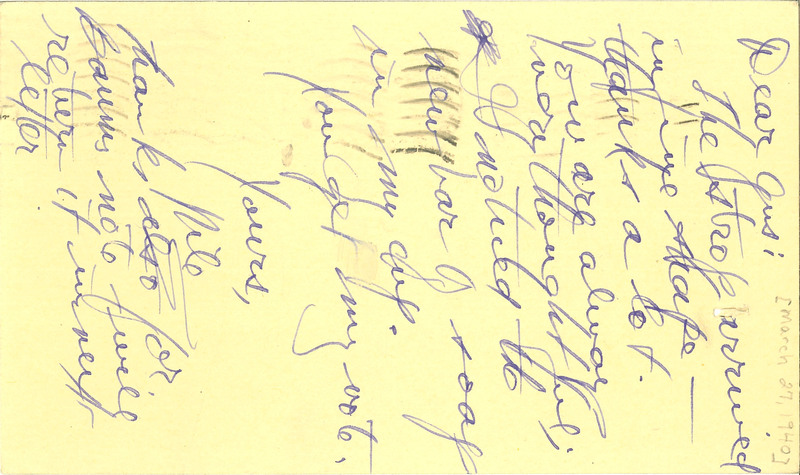 Dear Gus: [March 27, 1940] The strop arrived in fine shape - thanks a lot. You are always very thoughtful; I noticed the new bar of soap in my cup. You get my vote. Yours, Nile Thanks also for Baums note - will return it in next letter.